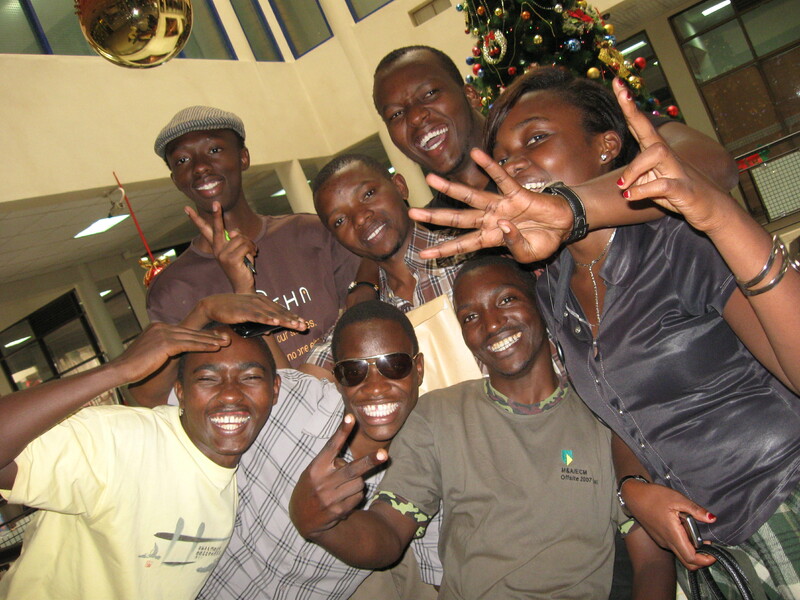 Pictured: Almond Tree Films, Rwanda, with Michel Nsengi (second from left, back row), one of our peace camp faciliators and our new volunteer consultant in Rwanda. We were honoured to have some of these young filmmakers (Yves Montand, Musafili Kayambi, Clementime Dusabejambo, Jean Bosco Nshimiyimana and Richard Mugwaneza) at camp and have them talk about their passion for making social change through film. One of their most recent films, Maibobo, by Yves, powerfully portrays the life of street children, a very real, but often unpopular, issue in Rwanda. Youth also strongly identified with Bamporiki’s film, Long Coat, which presents some of the issues faced in reconciliation today in Rwanda, as family and friends of both survivor and killer share the hillsides, attempt to live side by side. During peace camp, filmmakers helped youth with scriptwriting and had them do a “creative pitch” to share their script with the group. A big surprise came when it was announced that one of their scripts will be made into a short film! We hope to have this film completed early in the new year. It deals with the crucial issue of orphans, more specifically, the kinds of mistreatment they suffer in homes/families that take them in. See more of our photos from peace camp now on flickr. 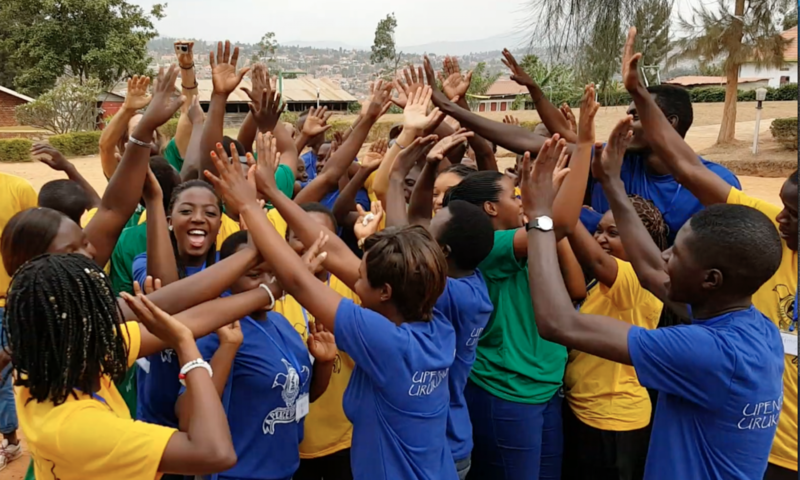 A little bit of “glee” in Rwanda! 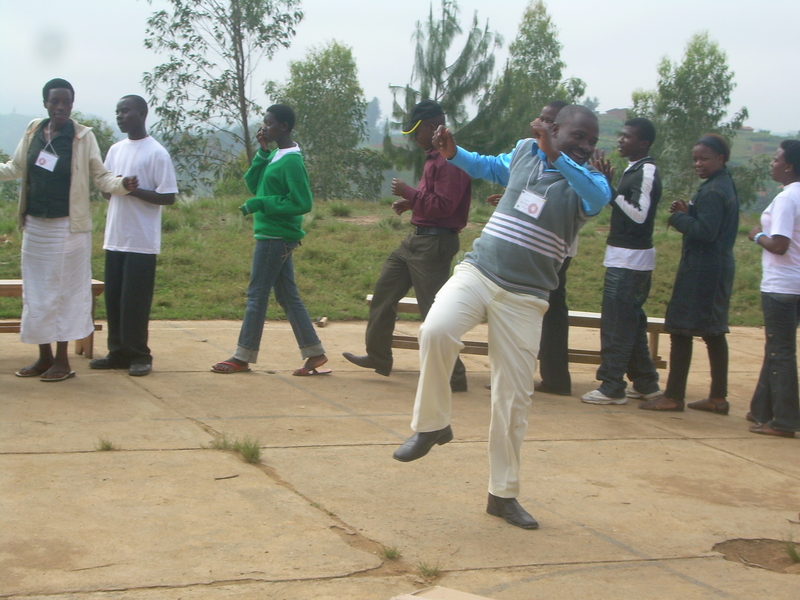 Just uploaded: watch clips of youth performing their poems and songs including the popular amahoro song created at camp. May you too have abundant peace and joy in your heart as we celebrate the birth of the one called the prince of peace!